Bob Dylan. Hurricane. Thurgood Marshall. Racism then and now and still! I was listening to Bob Dylan’s Hurricane the other day. So I looked up the story on Wikipedia…Rubin Carter…20 years in prison for a crime that he did NOT commit. No matter that LBJ worked hard to get the Civil Rights Legislation passed back in 1964 and 1965. No matter that Barack Obama was President for 2 terms. The day before listening to Bobby sing Hurricane… Tom and I watched the 2017 movie Marshall about Thurgood Marshall and his 1940 case in Bridgeport, CT. Such sadness and anger about racism. Such admiration for those who fought and fight and will fight. Forever. Soooo…. Welcome back to June 2, 2014………From my archives. With mini updates included……………………. How weird. 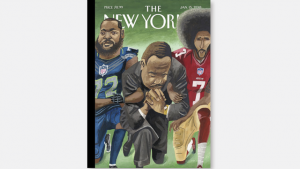 Within 60 seconds of posting this morning’s blog – “Racism and the United States” – I read Charles Blow’s “Yes, All Men,” in the New York Times. “Yes, All Men” motivated me to write this companion piece to my blog “Racism and the United States.” I call this new blog “Misogyny and the United States.” It’s a good partner for “Racism and the United States.” Then we can add in “Homophobia and the United States,” too. I blog about these various items fairly regularly. And I speak up when I present and I write. So here goes…. Again and forever until we have equity for all! “Sexism” … A bit of an easier word than “misogyny.” But are they different? Not in action. Socialized and institutionalized behaviors. Even women can be misogynistic. Yes, that still happens. Yes, the U.S. is that kind of society. Did you know that in 2014 (the original date of this blog), the U.S. had a larger gender gap than 22 other countries? In 2014, the U.S. ranked 83rd in the world in the number of women in elective office at the federal level? How does the U.S. rank today, according to the 2017 World Economic Forum Gender Gap? #96 in Political Empowerment. #82 in Health and Survival. #1 in Educational Attainment. And #19 in Economic Participation and Opportunity. Maybe you want to check the report annually? Visit the World Economic Forum. Maybe we should all know that the gender gap is actually getting wider!! The gender gap. Sexism. Misogyny. In the U.S. In many countries. In various religions. Part of various political philosophies. “I believe it’s very important for everyone to be a feminist.” That’s what Mr. Blow’s son said to him… And that’s how Blow began his op-ed piece on June 1, 2014. Sexism. Misogyny. It’s real – just like human made climate change is real. Facts prove it. YES, FACTS! Check out the World Economic Forum annual gender gap report. Read the Universal Declaration of Human Rights from the United Nations, written at the U.N.’s founding. Check out the U.N.’s WomenWatch, the gender equality news feed. Are you familiar with UN Women, the United Nations Entity for Gender Equality and the Empowerment of Women? Have you read the requirements of the Commission on the Status of Women – and the requirements for gender equality? A feminist advocates and supports the rights and equality of women, equity for women. What’s not to like? Cut the simplistic crap and the word games. Are you a feminist? Do you believe in equity – for women and men and people of color and homosexuals and heterosexuals and and… ? By the way, philanthropy and the nonprofit/NGO sector are enmeshed in this same moral dilemma of inequity and power. Okay. That’s the end of today’s ranting (June 2, 2014). I’ve got client work to do. You think I might have been pissed in 2014? Just imagine how I feel now, March 2018. At some point, I may post a list of resources re: gender equity — in my Free Download Library. Let me know if you’d find that useful. Would MLK, Jr. be ashamed? I wasn’t paying attention. 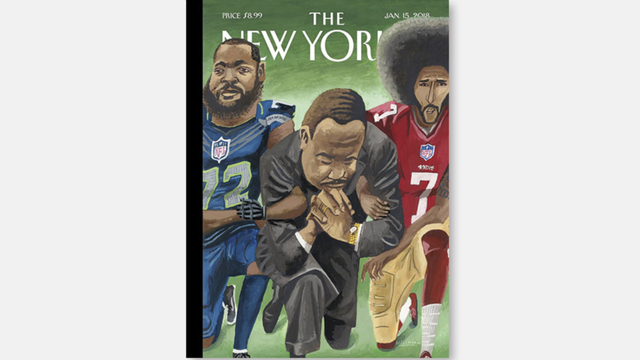 Today is Martin Luther King, Jr. day in the U.S.
TheAgitator.Net with great statements and marvelous New Yorker cover. Some favorite MLK quotes – because I collect social justice quotations. And I believe these are all still true today. Some of my other favorite social justice quotations. I think MLK would have liked these. And I believe that these are all still true today.